Did you know? According to FMCSA, speeding and distraction were the top human factors for fatal truck-involved crashes, respectively. Poor truck maintenance and less discretion for truck driver safety are one of the many factors that cause major truck accidents. There was a 34% decrease in the number of fatal crashes involving large trucks or buses between 2005 and 2009, but an increase of 28% between 2009 and 2016. The number of fatal crashes involving large trucks or buses increased by 6% from 2015 to 2016. 90% of all truck accidents are caused due to human error. The most common human-error factors were speeding and distraction at 7% and 6% of fatal truck-involved crashes, respectively. These accidents not only result in property damage and lost productivity, but also place a financial challenge for trucking companies and their reputation. In this article, we shall propose several measures which you can use to reduce, if not prevent, truck-involved crashes caused by your truck drivers. Accident data suggests that in most accidents - human error is the underlying cause. If we correct that, then we can prevent most of these accidents. Design your training module to last beyond on-boarding. Especially safety-related training. Design it like a drip campaign that feeds truck drivers at regular intervals - and takes no more than a few seconds of their time everyday. But creating a targeting safety drip campaign is key. By that, we mean your work would involve identifying the accident-prone drivers, understanding their Achilles heel, and then feeding them relevant tips and reminders. According to NHTSA report on Traffic Safety Facts 2016, about 2 percent of drivers in large trucks who were involved in fatal crashes had BAC ( Blood Alcohol Concentration) of only 0.08 g/dL or higher. Discussions with the Ontario Provincial Police has resulted in a conclusion that the drivers tend to ignore posted ramp speed advisory signs mostly and fail to slow down on highway on/off ramps. This results in losing control and rolling over. Automating your content on safety on the engagement platform you use to connect with drivers. This ensures punctuality in terms of time, reduces man power, and makes delivery efficient. Noticeboard provides you with automated notices and personal reminders, which reduces a lot of efforts from your team. The first step to honest reporting starts with fostering a genuine relationship with drivers. One can do this by sharing company information with drivers, while making all departments accountable and approachable. This practice becomes easier if everyone are present on a common communication platform. After establishing a solid relationship with your staff, make it easy for them to file painful reports. Provide a simple easy-to-use electronic form that does not need a learning curve. The faster they can convey the information, the better it is for your company. 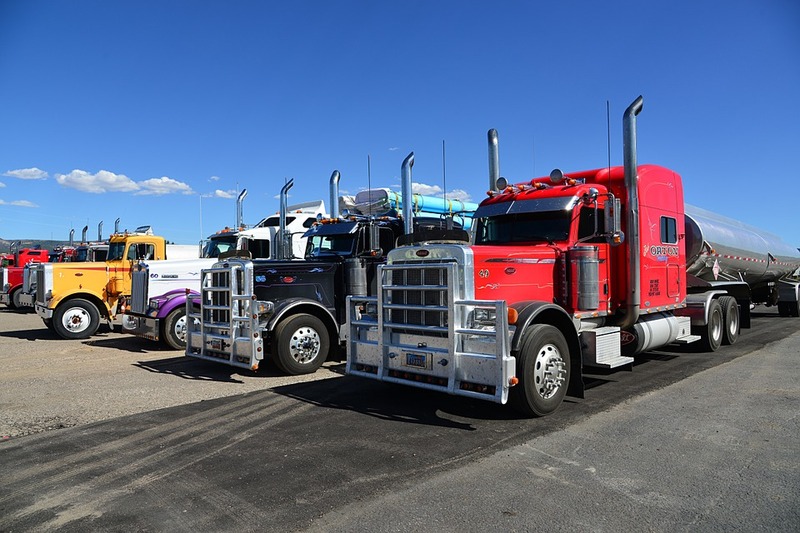 To ensure that truck inspections are conducted and reported for regularly, Noticeboard offers customizable DVIR (Driver Vehicle Inspection Reports) for truck and load pick-up, drop-off, fuel inspection, among others. It takes less than 30 seconds for drivers to file this information - be it to share images or location, strike off inspection checklists etc. Furthermore, training the drivers on the use of these systems is paramount. Do not make the mistake of training them only once. As mentioned before - conduct a drip-campaign that’s engaging, informative and relevant. At the end of the day - the driver and your management should know that you are doing all you can for the well being of both parties. Do give us a feedback for how your results changed after you incorporated the above mentioned truck driver safety tips in your procedures, and we can make accident reporting more efficient.